With repeated profit warnings and stock prices falling the Auto Industry is in deep trouble. Electrification, autonomous vehicles and mobility services are disruption the economic and trad headwinds. Diverting the capital away from the core of their business with the development of new ideas. 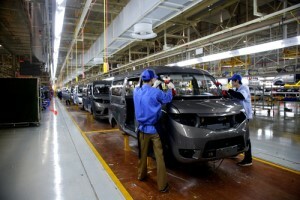 The global automakers have to electrify the auto world in their portfolios and have announced it. This will in return remove the steep historic cost of production of engines and transmissions and eliminating the barrier of entry to the auto world. As long as the combustion engines dominate the market, the current automakers are protected. As the manufacturing of these components come at a very high cost that is impossible for newcomers to compete. However, the electric age is near. China hasn’t been able to produce these gas-powered engines that control most of the auto market. If anything, this shows the complexity of the engines and transmissions we have today. The modern day engines are a built through years and years of Engineering know how that China doesn’t have. Not to mention the production facilities needed for engines are huge and just not easy to start up. And, all the R&D that went into the development of the gas engines and transmissions for better fuel economy and durability. China just doesn’t have time to catch up. However, China is interested in Electricity. And, because China is so populated, this would help with air quality there as well. 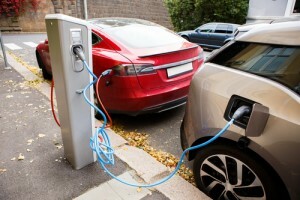 Electric Vehicles (EV) are gaining popularity. Their design and build is less expensive, making them easier to start up. New companies have more of a chance of starting up than they would otherwise. They have few parts and components. And, all the critical parts can be outsourced. The most important and expensive component will be the battery, which can be easily outsourced. China is the largest concentration of battery manufacturers and production capacity. This is perfect for the Electric car industry. They are the primary benefactor when the cars turn to electric, as they have the infrastructure to build them. And, China has the largest electric vehicle market out there. They have a lot to gain from this movement. China also has control over much of the worlds cobalt, lithium and other battery cell components. Recently, NIO, which is a small Chinese manufacturer in China raised $1 Billion to get started developing EV for the US. These funds were raised right here in the US, showing there is an interest in the EV’s. Tesla raised over $14 Billion from investors to produce it’s Model S. That is a small price for development and production compared to the common and modern gas powered. Tesla started in 2003 and shocked the world in 2005 by introducing its 1st electric car.